you get married, life is so fun and everything is so wonderful and even tedious things are so easy...and then you have an earth-shattering argument where you hope the neighbors' windows are shut because suddenly things just got r e a l . (or maybe your conflict resolution skills are impressively high?) but devin and i had learned the hardest part of marriage the hard way. we right away recognized how good the good times are and how bad the bad times are. in our premarital counseling, our pastor and his wife told us that the person you love the most can make you the most happy and the most angry. it's so true! spending time together was way better than when we were dating, and we went on such fun adventures. but our fights? we fought dirty, dredging up old mistakes and blaming, and we were slow to forgive (or at least i was!!). in marriage, i was shocked by how amazing our good times were and how r o u g h our fights were. 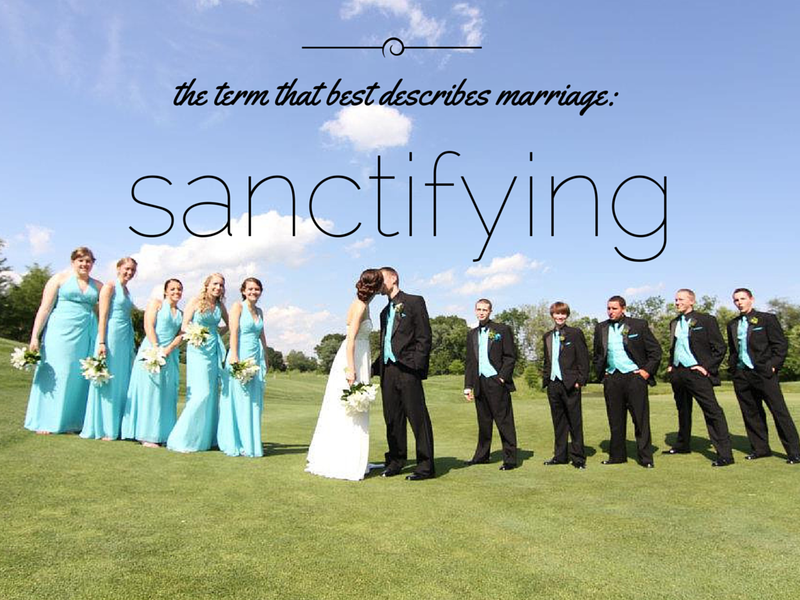 in a conversation with my bible-teacher friend here at the high school (he and i have lunch duty together, so we have a lot of time to chat admist students leaving for lunch), i was reminded of the term that best describes marriage: sanctifying. and that's the beautiful thing about marriage--my gross, sinful self is surfacing in the face of a spicy conflict and it shows me just how much i need Jesus, and how patient my husband is to put up with me! while fighting fairly has absolutely been the hardest part of marriage for me, it has also pushed me to Christ and his word. what does it look like to honor my husband when i'm furious, according to the bible? what does it look like to show God's love in an argument? what lessons have you learned from marriage? how have you handled conflict in other relationships?